Let me tell you, I have been on a baking spree! I have had so many orders coming in and I COULD NOT be happier! Sure, it’s eaten into my sleeping and exercising schedule : ), but I don’t care, I’ve so enjoyed doing all of it! 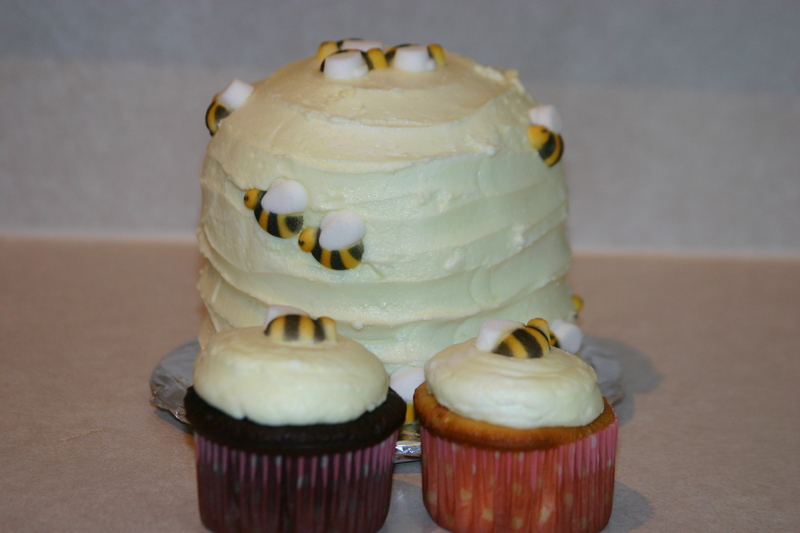 I made a cake that resembled a beehive and 50 cupcakes to go with that last week. 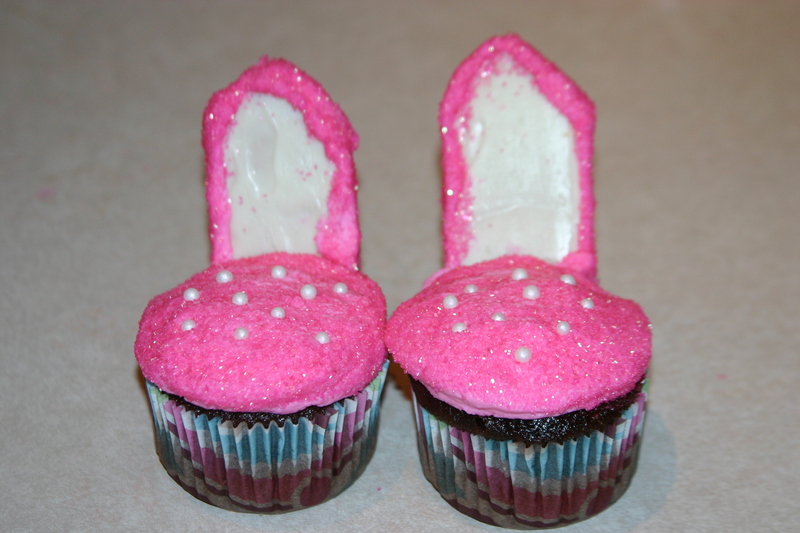 I know you’ve seen pictures on Pintrest or somewhere of the cupcakes that look like high heels. 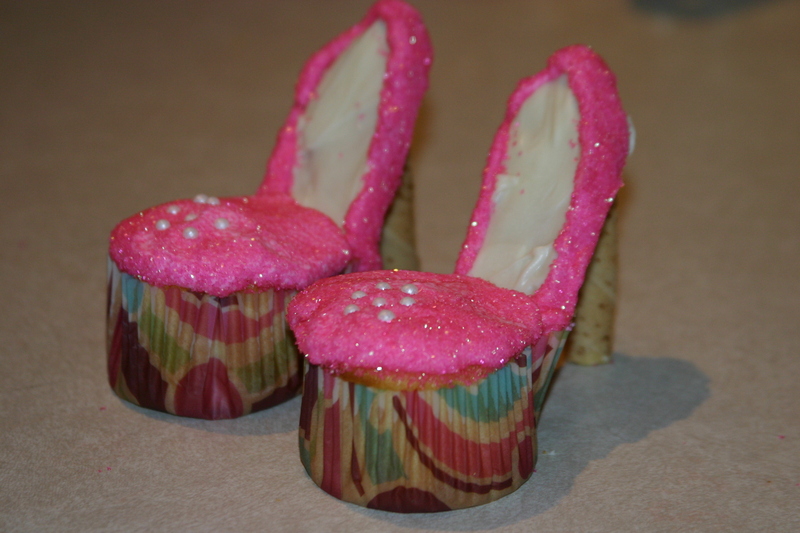 I made those too, and they weren’t perfect, but I thought that they were pretty darn cute! I know what I did wrong, so I have learned from my mistakes and know exactly what to do differently next time. 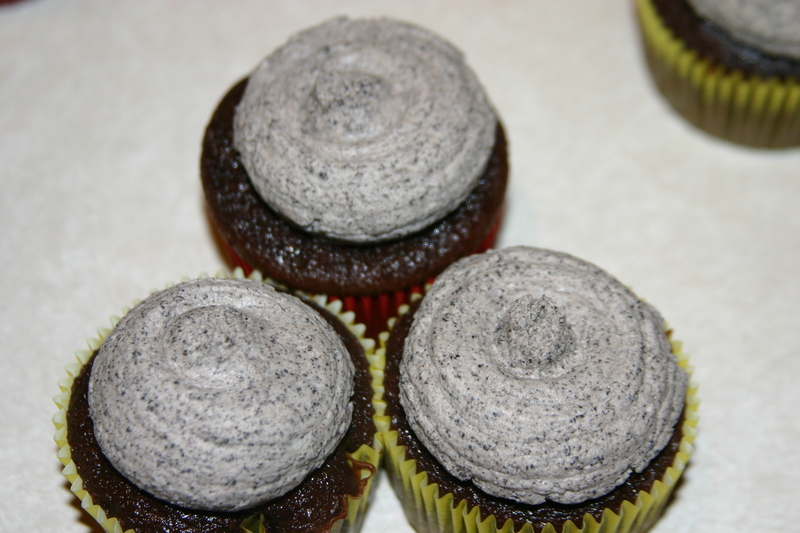 Then chocolate cupcakes with cookies n cream frosting. 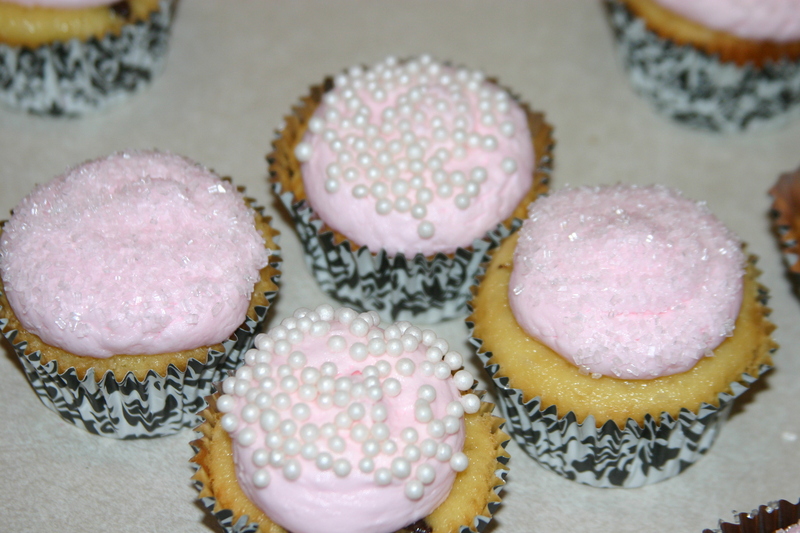 Chocolate chip cupcakes with pink buttercream for a wedding shower. 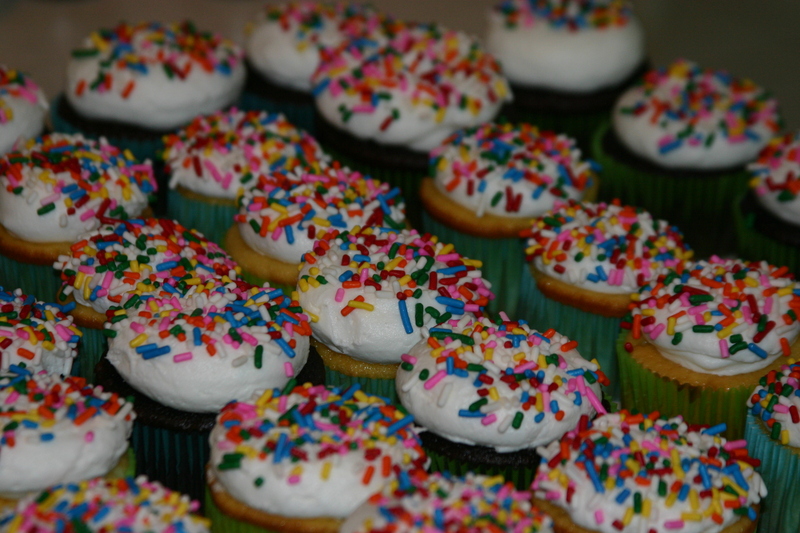 And finally chocolate and vanilla cupcakes with buttercream and sprinkles. I’m usually pretty boring when it comes to coloring icing, but I’ve been doing so much that isn’t white, that I feel like I need to jazz it up when there isn’t any color. I’ve been having so much fun and if you need an order and live in the 757, you know where to find me!